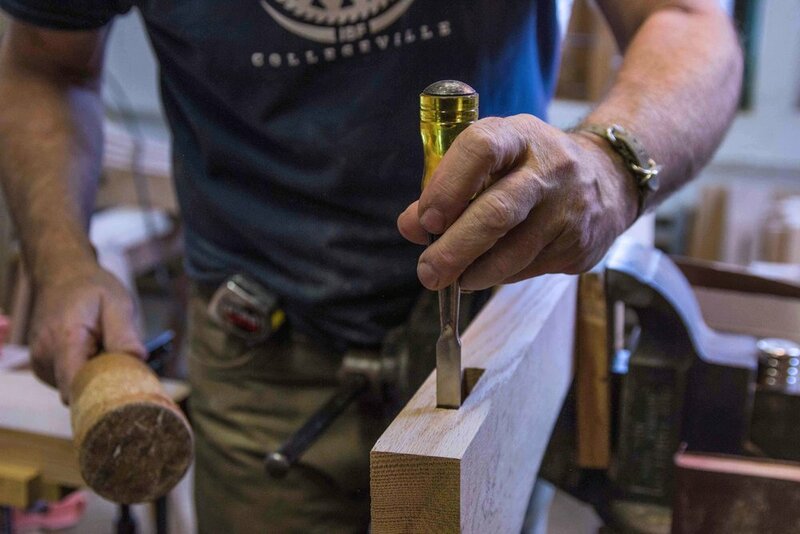 Surrounded by an abundance of trees, woodworking has long been a natural way for the monks of Saint John’s Abbey to live out the Benedictine motto of ora et labora– prayer and work. Thanks to generations of careful land stewardship, our forests still provide the large majority of wood for our shop. 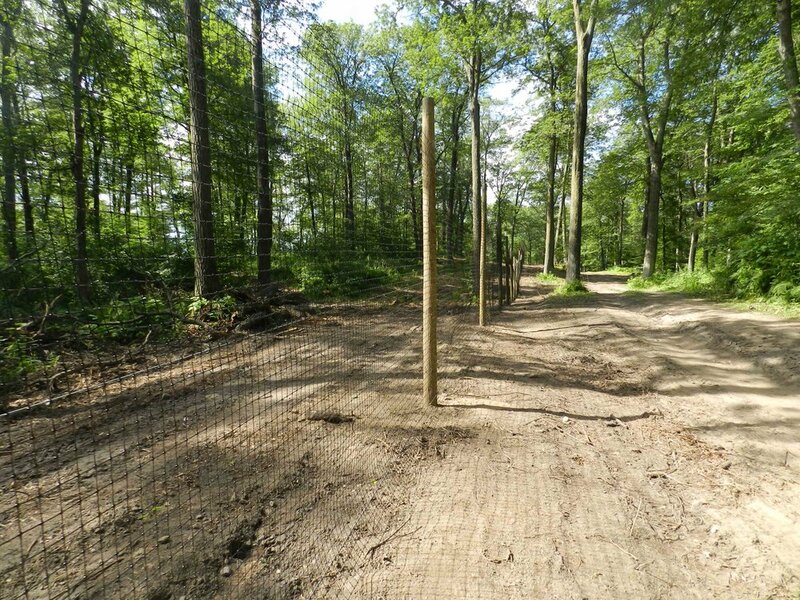 To ensure the future of this natural resource, the Saint John’s Abbey forests have undergone certification by the Forest Stewardship Council. This certification ensures that the wood from our forest is both grown and harvested responsibly. 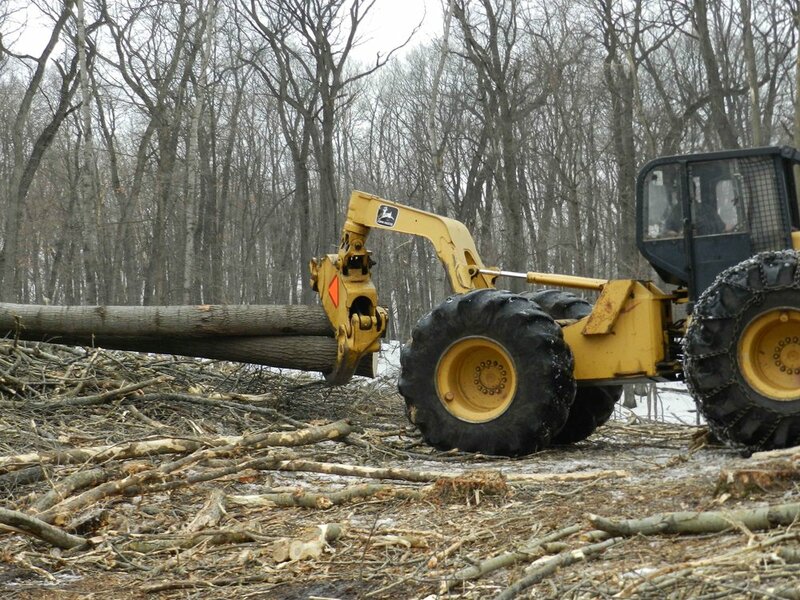 Following the Abbey’s forest management plan, forest technicians sustainably harvest a select number of trees each winter and send them to a local Amish community for milling. The wood spends a few years drying in our lumber yard until we bring it into the kiln for final drying. The wood is then ready to be worked. We seek to utilize local artisans for our metal, upholstery, and occasional finishing needs. This effort is not only convenient but helps to support our local economy strong and build relationships in our community. Beyond the natural resource, we also believe in the stewardship of our tools and machines. While we utilize some of the latest woodworking technology, many of our machines are well over 75 years old. Through care and upkeep, these durable machines continue to serve our needs today.